It is not only fine feathers that make fine birds, Greek story-teller Aesop had said. Even the dullest-looking bird becomes a feast to the eye in the wild. 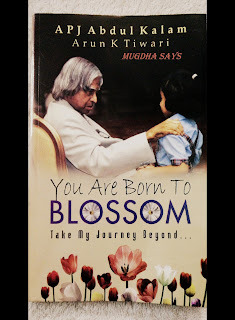 Delhi known for the beautiful blend of people from varied backgrounds. It is the capital of India and center of attraction for many tourists. But not many would know that Delhi also have lush green sights, in and around the city. The greenery makes it a bird-rich city also. However, more than 25 per cent of the birds of Delhi are migratory yet the city is also a home for many resident birds. On this World Migratory Bird Day (May 13), here are some of the popular bird-watching destinations in and around Delhi where you can have a close look at these winged beauties. Nestled in South Delhi, near Surajkund, the sanctuary encompasses an area of roughly 30 sq km. It is located on the southern ridge and the northern terminal of Aravalli Hill range and houses over 190 bird species. One can found a sparrow patch in sanctuary where huge group of sparrow can be seen feeding and mud bathing. Known birds of the sanctuary are Indian Peafowl, Spotted Owlet, Egyptian Vulture, Green Bee Eater, White breasted Kingfisher etc. It is Delhi's only sanctuary and apparently green lungs of the city. Apart from birds, the area is also known for mammals, reptiles, butterflies (a butterfly park is there inside the sanctuary) and native trees of Delhi. Spread across an area of 4 sq km, Okhla Bird Sanctuary is situated in Ghaziabad along the eastern bank of the Yamuna River in Gautam Budh Nagar district of Uttar Pradesh. 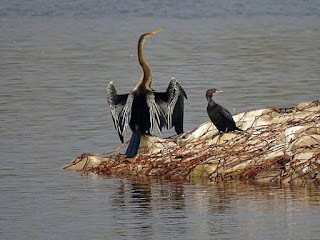 The Okhla Bird Sanctuary houses more than 300 types of bird species of which around 160 species are of migratory birds from Tibet, Europe and Siberia, reaching here for their winter sojourn. The winged visitors can be seen here from November to March. This sanctuary hosts 30 per cent of the 1,200 to 1,300 bird species recorded in the Indian sub-continent. Located less than 44 km from Delhi, this place is a must visit for those who want to catch a sight of resident and migratory birds, a perfect place for a date with nature. The four towers of the park make it an ideal spot for birding. 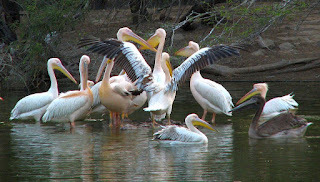 The sanctuary, situated near Gurgaon, houses nearly 250 bird species. It provides a panorama of migratory birds such as the Siberian crane, greater flamingo, yellow wagtail, and many more. 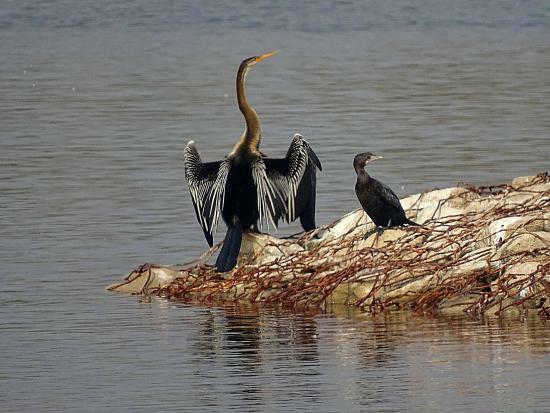 For bird watchers, Yamuna Biodiversity Park is an absolute haven. One can spot rare red-crested pochards, great cormorants, shovelers, herons, pintails, gadwalls and darters. The park becomes a nesting place for birds from Central Asia, Siberia and Europe every year. 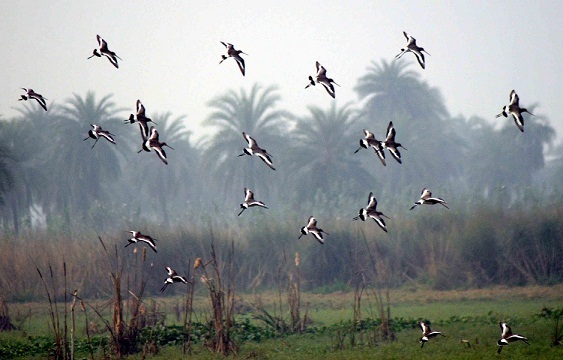 Surajpur Bird Sanctuary and Biodiversity Park covered with beautiful wetlands host a large number of migratory birds every winter. It is home to more than 180 species of birds that include spot-billed duck, lesser whistling duck, and red-crested pochard. 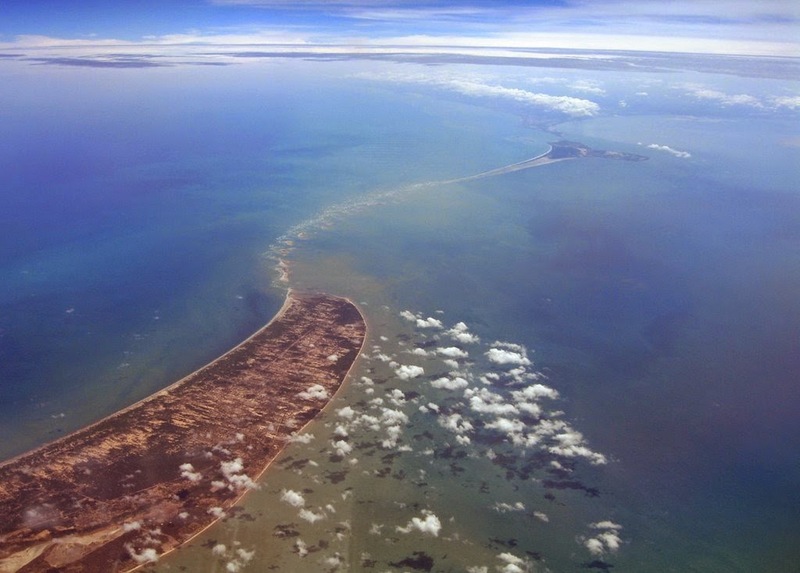 Spread over an area of 176 acre near the Old Fort, this place hosts around 130 birds species from around the world. The zoo gets migratory birds usually by October-end every year.